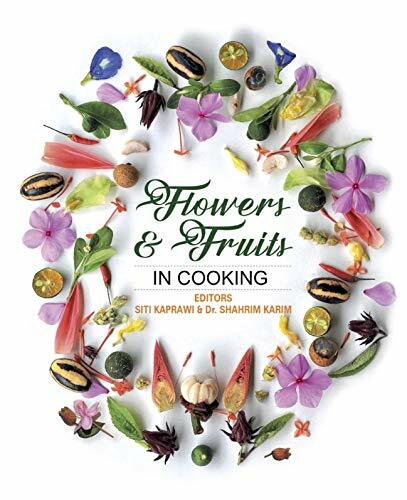 This book will bring the best from fruits and edible flowers in South-East Asian region and abroad. Fresh edible flowers and fruits are not only good sources of vitamins and minerals, but also can be used in our daily cooking. These ingredients will add color, taste and texture to the recipes. Fruits and flowers can be eaten fresh just like that or incorporated in to dishes. Fruits can be used at different stages of their growth; for example banana, can be used from its blossom, then it becomes green banana can be cooked and finally when it is ripen can be eaten just like that or turn into delicious desert. Similarly like flowers, from its buds to full blooms are used in making tea and addition to food. In the pages of this book, you all will learn from 29 chefs’ signature recipes created for this book. All recipes are focus on healthy food and wellness. There are about 80 recipes throughout this book with easy to follow methods.